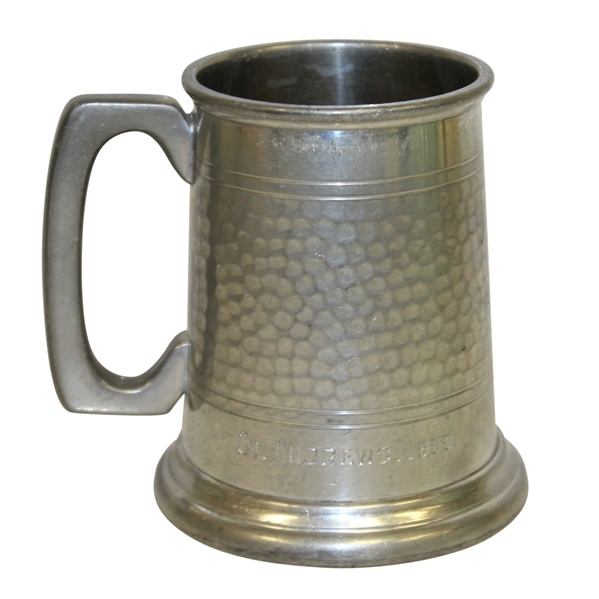 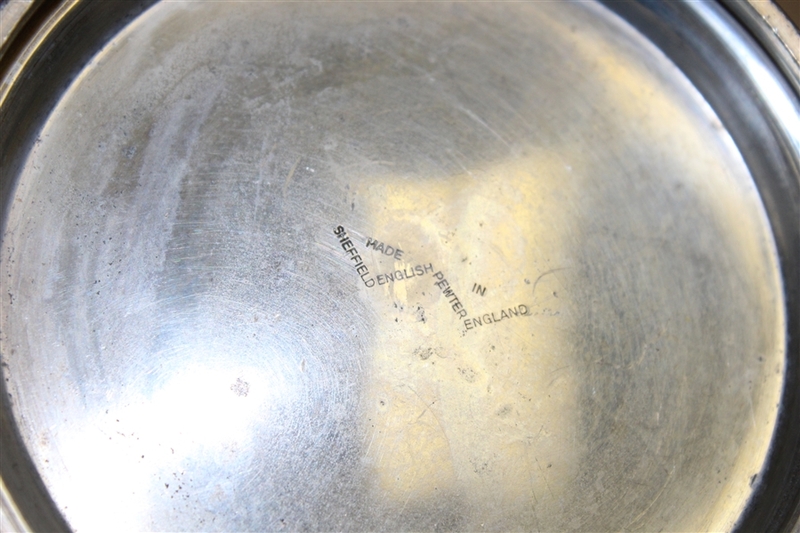 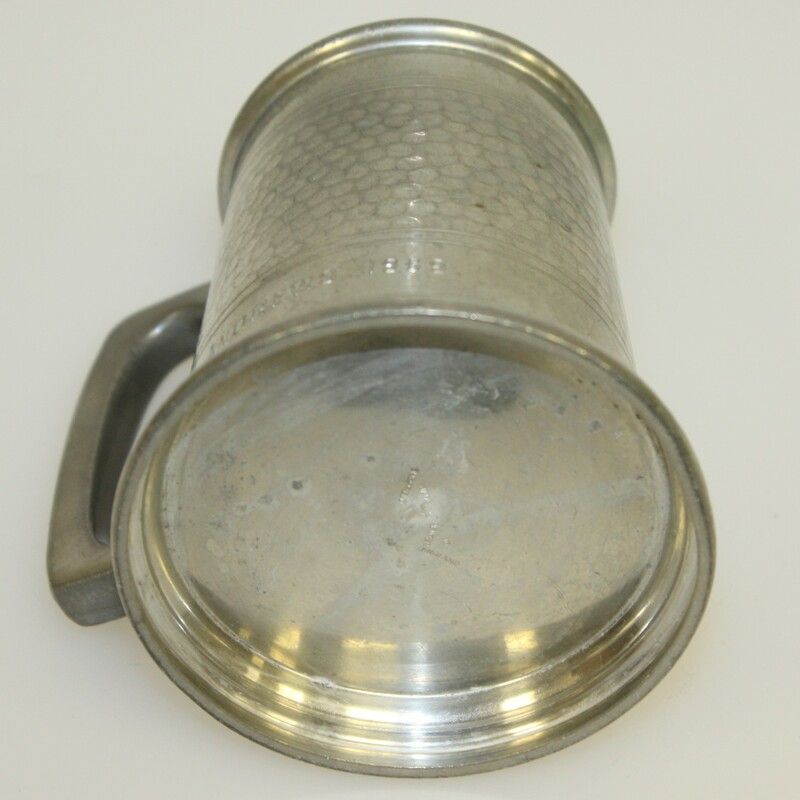 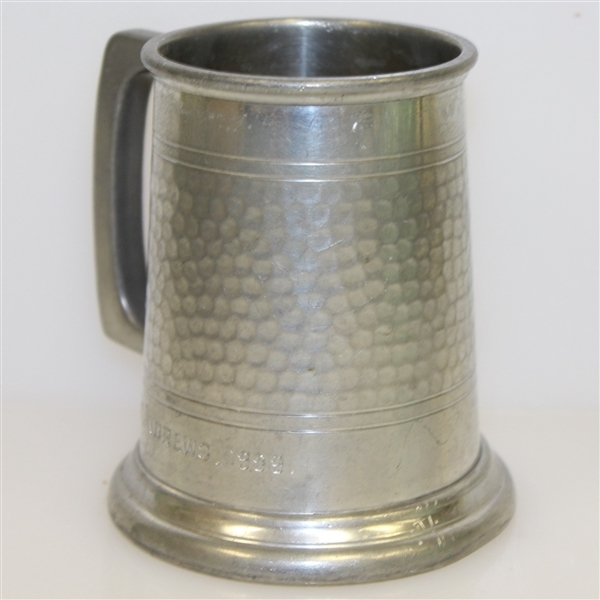 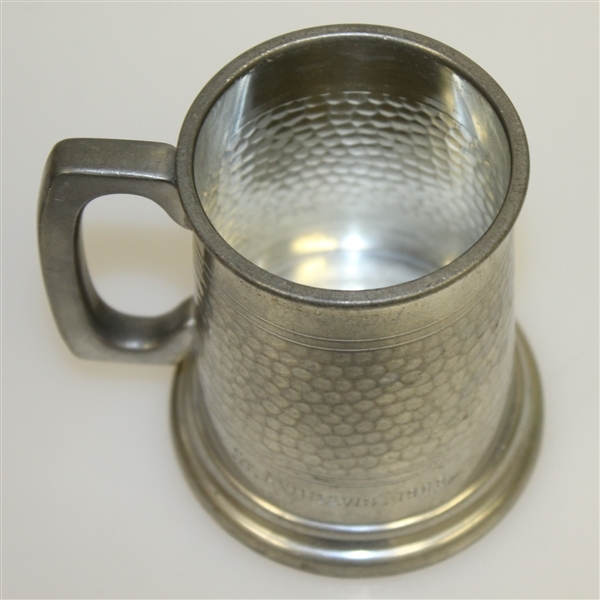 Here we have a Sheffield pewter tankard made in England. It comes in great condition and is engraved "St. Andrews 1969." 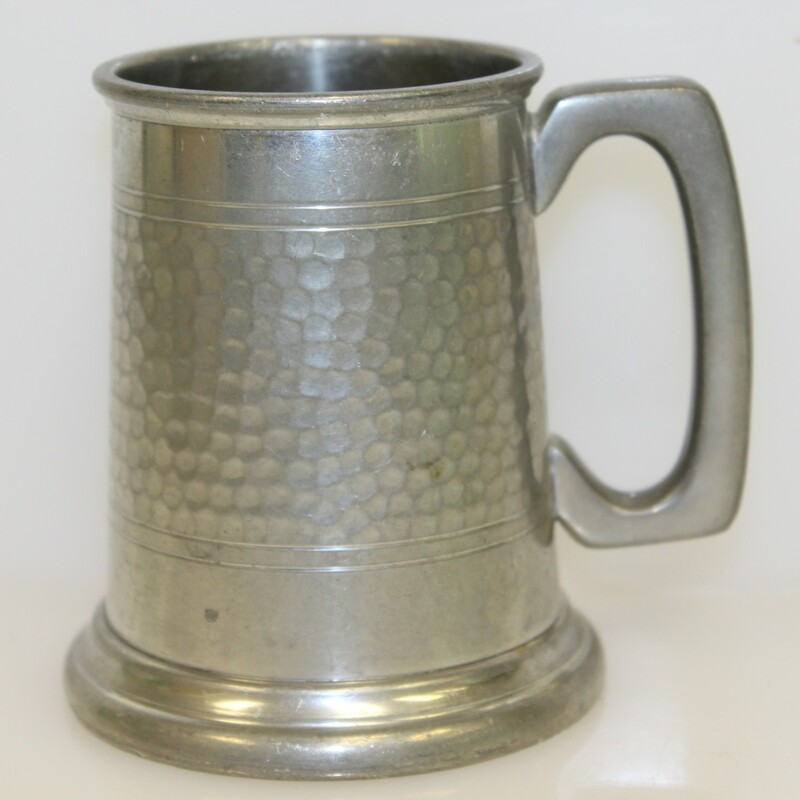 The majority of the tankard appears to be hand-hammered. 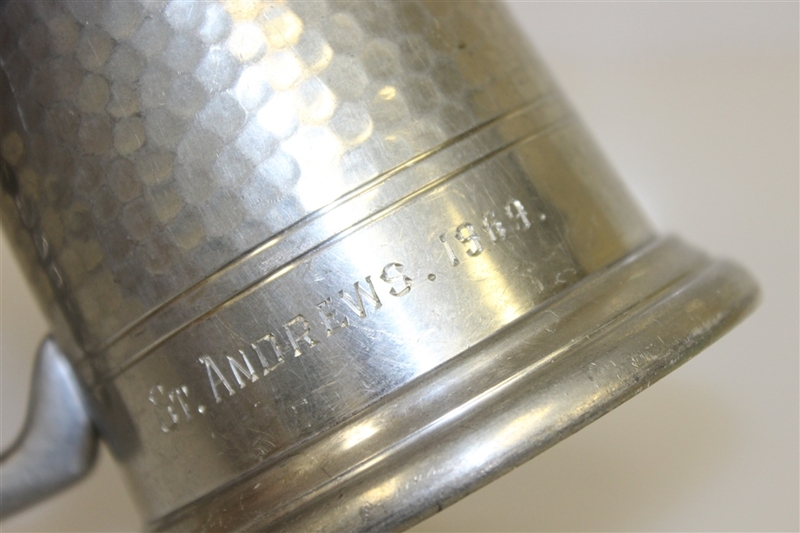 St. Andrews is long believed to be the home of golf.